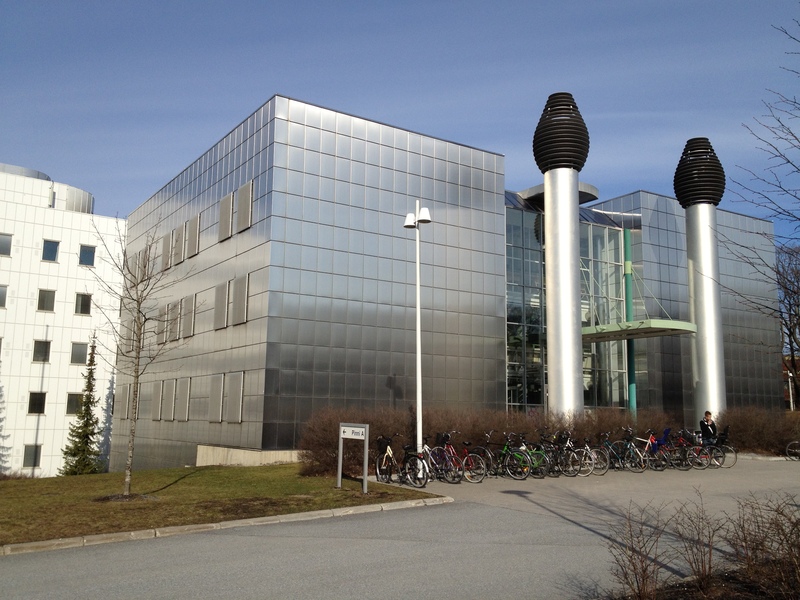 Tampere-Pirkkala Airport is located about 15 kilometres from the centre of Tampere. There is a bus connection from airport to the centre (4,40 euros; can be bought from driver; see time-table link). The taxi fare is from 25 to 30 euros. Tampere is 180 kilometres northwest from Helsinki. From Helsinki-Vantaa airport there is a frequent and comfortable bus connection to the center of Tampere (duration: approx. 2,5 hours). There are also daily flights between Helsinki-Vantaa Airport (HEL) and Tampere-Pirkkala Airport (TMP), the flight time being 30 minutes. It is also possible to first take a bus to Tikkurila or City Centre of Helsinki and take a train from there to Tampere. More travel info from Tampere Convention Bureau. 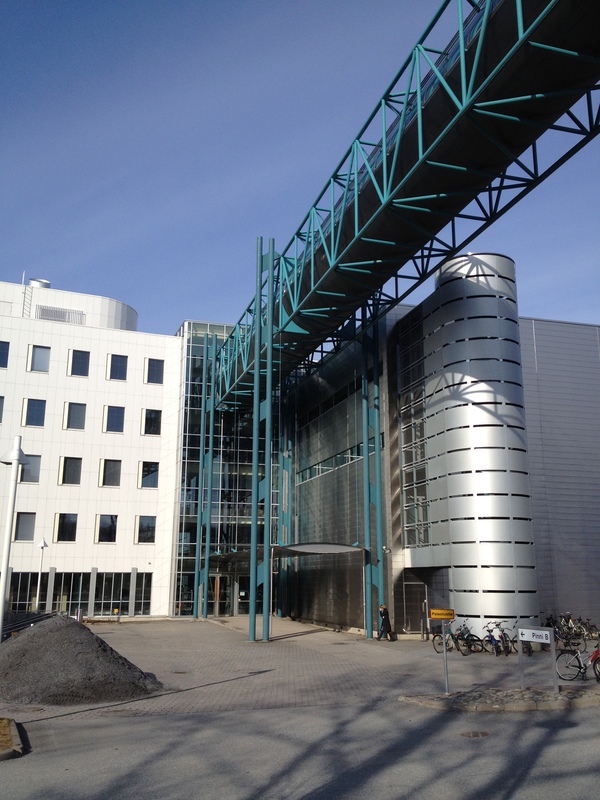 The conference locations are situated at the new Technopolis Yliopistonrinne building (7-8 June), and in the rooms of the University of Tampere, Pinni A Building (6 June). Note the red check-marks on the map below. This is the website of the Nordic DiGRA 2012 conference. DiGRA is the international association of digital games researchers and professionals – see the website at www.digra.org. The full papers of all DiGRA conferences are made publicly available at the DiGRA Digital Library. 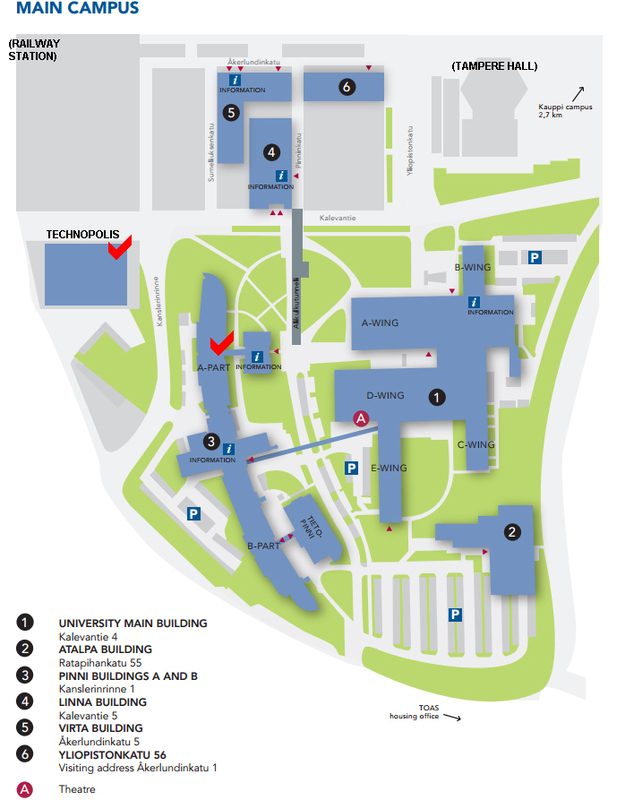 You can also find the pages of earlier Nordic DiGRA 2010 conference from here. 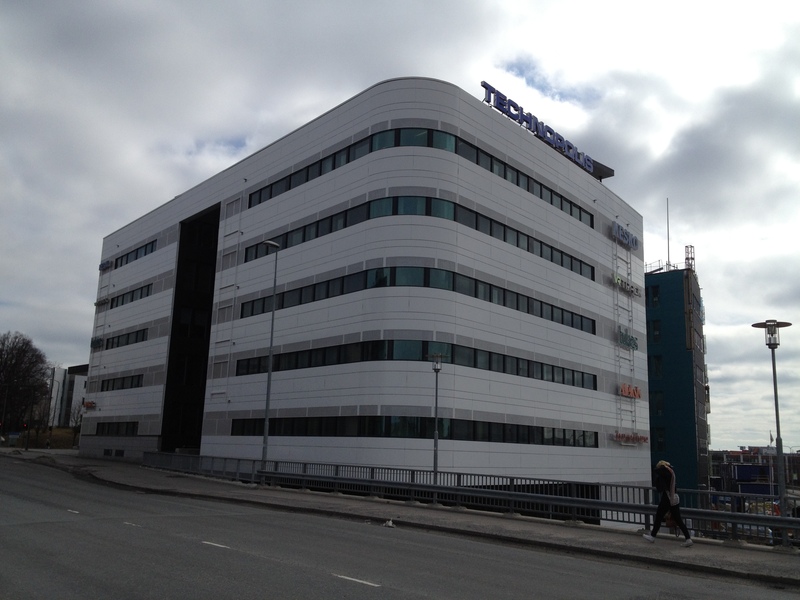 The university is quite centrally located in Tampere, some 500 meters from the railway station.